The latest official estimates suggest the population in Pakistan has swollen to a staggering 220 million figure in the country faced with grim crises ranging from acute shortages of resources to corruption, feudalism and crippling social services sector. The country’s biggest Baluchistan province has been providing in abundance the non-stop supply of natural gas to the industrial and residential units across the country, but its own inhabitants in many remote districts remain deprived of water – not even clean – sanitation, health and education since decades. This year’s annual budget of more than $ 40 billion by the government was not different from the past with an overwhelming allocation to the military and defense sector against a minor share for the social sector. Pakistanis living in rural areas in relatively greener areas associated with booming agriculture have long been considering themselves lucky against the other deprived communities elsewhere. 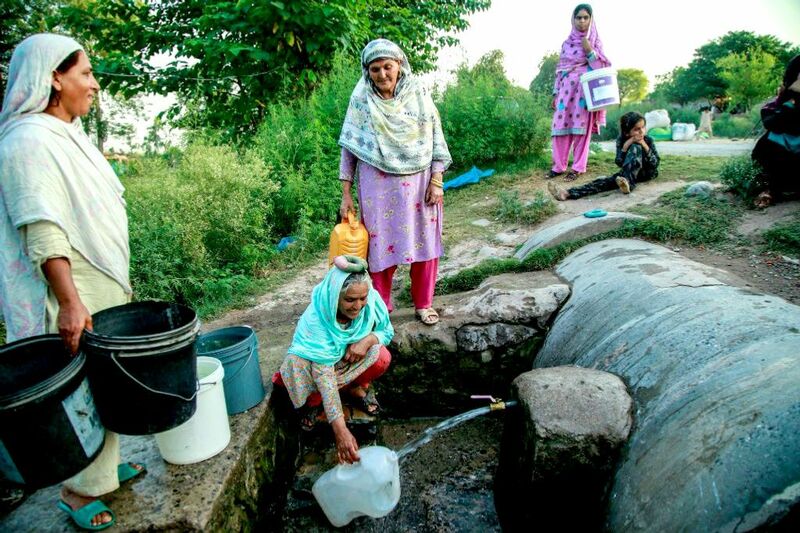 However, a recent study in the journal of Science Advances has revealed that Levels of arsenic in the groundwater of eastern Pakistan are „alarmingly high“ and pose a significant health hazard to tens of millions of people who drink the water. Areas in eastern Punjab – which includes Lahore – and around Hyderabad were especially likely to have groundwater that exposes large numbers of people to arsenic contamination. There are no immediate moves from the government on the ground to address this issue, and in fact no one would have knew had the journal of Science Advances not revealed this grim reality. Pakistanis had been drinking this contaminated water for years and it seems they would continue to do so as the government continues to prioritize military and defence sector over social welfare of its people.